On May 5, 2006, it released the fifth studio album by the Red Hot Chili Peppers "Stadium Arcadium". Originally planned to be released as a trilogy in separate parts, the album, double, compiles the 28 best songs recorded by the band in collaboration with producer Rick Rubin. With more than six million copies sold worldwide, the album became the best-selling 2006. The album was critically acclaimed with the integration of musical styles of various aspects of the band's career. The album won seven Grammy Award nominations in 2007, including an award for Best Rock Album. It was the most nominations that the band has accumulated in his 25 year career. When I was doing the backing vocals in the studio, this was the first time I read the words. I was familiar with the melody, but the words were finally, and then I put the piece of paper in front of me and I started to fit my harmony with the words I saw in the paper and realize how much things had phrases that, and I saw those words, Stadium Arcadium, sounded beautiful to me, you know? For me ... I am a person who does not need more than that. 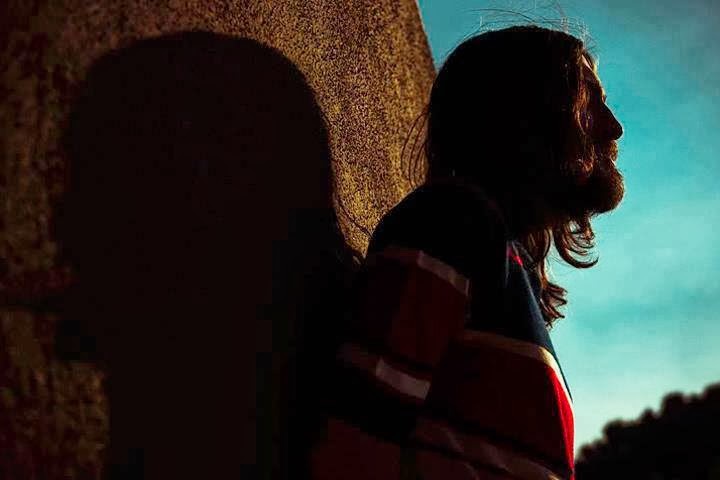 I do not need to know that "I am the Walrus" means, I think it's a beautiful song, a beautiful collection of words, and to me it is not important to know what that means, because normally even when we think we learned from things, I do not think we really know. The words in people's heads, I say the same word at the head of a person means one thing, the head of another person means something else. This is not very accurate, so if you get the feeling of it, that's important. The transfer is done, you know? I get this feeling, so I did wonder where the idea came from the title of the album undoubtedly is a perfect title. Lately I've seen a lot of the word "arcanum" which means "secret," and I started to imagine that maybe the spirits were trying to say "Stadium Arcanum" and we understand "Stadium Arcadium" because arcanum is a different word for Arcadium, but somehow mean the same thing. Provided little matter about John Guitar Player magazine November 2006. What is the role of guitarist in a band? The answers can be numerous, but if we synthesize with the name of only one guitarist, this could very well be John Frusciante. On the new album from the Red Hot Chili Peppers, Stadium Arcadium, he printed his personal style without thereby distorting the characteristic sound of the group. "My concept for the album was to make music unfold from beginning to end of the song," he explained in an exclusive interview. 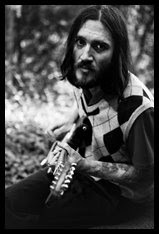 Thorough, Frusciante developed each guitar part thoroughly, always in favor of the composition. He spared no effort in relation to the guitar sounds and used various tricks to generate sounds magical: Moog pedals, wah-wah, reversed reverb, phaser, delay, digital, harmonies, layered recordings, effects volume, Leslie cabinet and many other features that increased their shares. In this regard, Frusciante unpacks the guitar tones of all 28 tracks from Stadium Arcadium and shows that it is possible to play for the team and be creative at the same time creating great compositions and sounds. In 2007 John helped his former girlfriend Emily Kokal, producing the first EP of his band Warpaint "Exquisite Corpse". John also participates in track "# 3 Billie Holiday" (playing Mellotron). In 2008, taking advantage of the holiday period of the Red Hot Chili Peppers, John prepared the launch of a new solo album. The epic work was dubbed "The Empyrean" and the launch took place on January 20, 2009, by U.S. label Record Collection. The CD was recorded between December 2006 and March 2008. The album has two special guests as well known to the public. One is the former guitarist of the British band Smiths, John Marr.The other guest is bassist Flea, and Josh Klinghoffer. "The Empyrean" is the tenth solo album by guitarist and seventh since he returned to the Red Hot Chili Peppers in 1998. The album is conceptual and tells a story "both musically and lyrically," as the author himself. The album also contains a cover "Song To The Siren" album Tim Buckley Starsailor 1970 and "Before The Beginning" which is totally inspired by the song "Maggot Brain" by Funkadelic's self-titled album in 1971. "I find myself thinking about the places where I was coming or things that are connected to each other. I feel I would be doing a disservice trying to put them in a paragraph or something. I'm sorry for that. Never felt so well, and I put in a state where the recording insisted on being made. was more like I was being used to make a recording of a kind ... I guess I could say as a level of existence that is not expressed through matter or by people in their activities, which is the level of existence that is always there, and I had to put in place so that this level of existence is expressed through me and that is exactly what happened . " Author's Note: Empyrean Empirical means, from Medieval Latin empyreus, an adaptation of the ancient Greek, "on fire (PYR)", properly Empyrean Heaven, is the highest place in heaven, which in ancient cosmology was supposed to be occupied by the element of fire (or aether in Aristotle's natural philosophy). The Empyrean was also used as a name for the firmament, and in Christian literature, noted in the Divine Comedy, as the abode of God and the blessed, and as the light source. The word is used both as a noun and as an adjective. Having the same Greek origin are the scientific words and empyreuma empyreumatic, applied to the characteristic smell of burning or cremation of animal or vegetable matter. There is a reference to the Empyrean in the book "On Tycho's Island" John Robert Christianson, indicating as it was considered at the time that Tycho Brahe studied astronomy in the 16th century. "The Empyrean is a story just from my point of view, but misleading, since there are no signs to lead one to perceive a clear story on the album. Intention was not to write what would be seen as a story, although it is one for Me. Doing this on a place in the mind of a person, no laws of time and space, or are there concrete relations in it. This is to say that if you look at it with your logical brain you will just stare and not will come to nothing. 's words were written specifically to document the experience of interior life, the kind that a person has extreme difficulty in translating for somebody else. Part of the intention was to write words to connect with others who have been, or are , overwhelmed by confusion, inescapable inner world we should live. Equal attention has been paid to write words that gently directs listeners own brain intuitive, and his sub-consciousness, I think that covers everything from fashion catalogs and much richer and more certain than our conscious mind. Like a lot of letters, was written to be understood in various ways and how people listen. For a person to whom the words are not clear, conscience means more than reading it as I I do, and so I recommend listening or reading, finally, the way you want. would have been simpler I did not say anything to anyone, but it occurred to me today, I realized gradually that it is for me, I'm encouraging people to see my way and for me, that's not what rock lyrics are. believe that rock lyrics should be open to interpretation, and wrote these so they could be. Though I could explain the story that I see, would detract from the many potential meanings that people come to apply their own senses to feel living their lives as they always do. ". The war in volume between John and Rick Rubin. A long time see the issue being discussed the pros and cons of new digital technologies for recording music. Frusciante is one of the "útimos" beings face musical recording their albums on analog equipment, the producer is Red Hot Chili Peppers father's technique "Loudness war", Rick Rubin. John who specializes in analog recording made at home. Loudness war or loudness race - something like War of the volume or the volume race - is a pejorative term applied to the apparent competition exists in mastering and launching digital recordings produced by perceived volume louder. With the advent of CDs, the music was encoded in a digital format with a maximum peak level clearly defined.Since the CD maximum amplitude is reached, the perception of the volume can be further increased with a combination of compression and dynamic equalization. Engineers can apply an increasing compression ratio to a recording order to increase its gain until the peak maximum volume.Extreme uses and other clippings can introduce audible distortion to the wave recording. Modern albums began to make use of strong dynamic compression, sacrificing the quality of production in favor of high volume. The escalating competitive for a volume louder led music fans and members of the trade press to refer to such albums as "victims of war volume." Californication, was one of the albums that have suffered most from it. "Another thing I'm not particularly crazy by albums are modern is how they use compression to give the impression that all things fit, but it's still all very separate." The issue Red Hot Chili Peppers is like touching the wound to Frusciante. During the term of our interview, the guitarist spoke at length about his new album. But rather a question about the status of habitual Chili Peppers left speechless. When he recovered, he said emphatically that the group had "no plans". This is very different than the drummer Chad Smith said in an interview with MusicRadar few months ago. 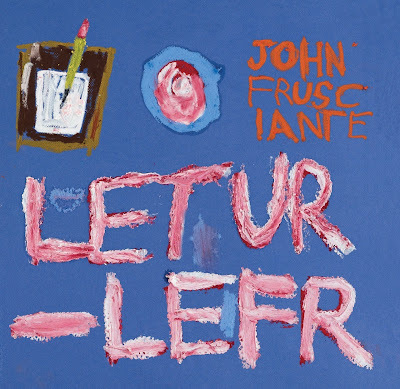 John Frusciante: "The officer ... or ... or you can leave and I just say, the officer, the official news is that there are no plans for anything and we are in indefinite hiatus ... indefinitely. Yes não há, não há absolutamente nenhum plano de fazer qualquer coisa e, sim, é isso. Sim, nós trabalhamos realmente duro por 10 anos, e sabe, há outras coisas na vida". On December 17, 2009, John wrote a brief clarification on your blog and Myspace confirming rumors reported by MusicRadar that would no longer be working with the Red Hot Chili Peppers, according to the message, he would have left the Chili Peppers ago one year. "When I left the band for about a year, we were on hiatus indefinitely. There was no drama or anger, and the other guys were very understanding. They support me to do anything that makes me happy and I also support ... I really love this band and what we did. I understand and appreciate that my work with them means so much to many people, but I have to follow my interests. For me, art has never been something done like a responsibility. It's something I do because it's fun, exciting and interesting. In the last twelve years, I've changed as a person and as an artist, to such a degree that to do more in terms of what I had been doing with the band would be going against my nature. They had no choice involved in this decision. I just have to be what I am, and I do what I do. " Josh Klinghoffer is the replacement for Frusciante. Klinghoffer had toured with the Peppers in 2007. 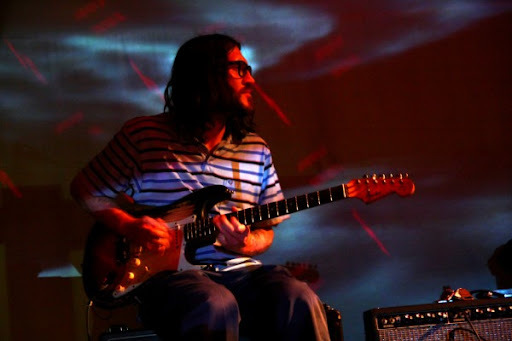 In April 2010, with 13.9% of the vote, John Frusciante is voted the best guitarist of the past 30 years by BBC Radio 6 in the UK. John Frusciante was competing with 40 guitarists of different styles, including Tom Morello, Dave Navarro, Kurt Cobain, Johnny Marr, Slash, The Edge, Kirk Hammett and Omar Rodriguez-Lopez. The The Axe Factor 'counted more than 30,000 votes in poll conducted in March this year. 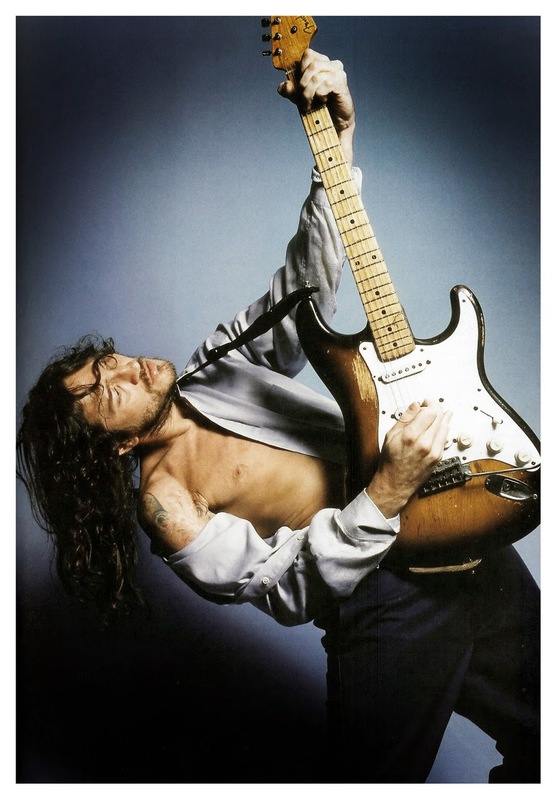 It was with his own style, shy but bold, the guitarist, singer, songwriter and music producer American, John Frusciante, won the title of best guitarist of the past 30 years (1980-2010), elected by a poll of British BBC. The musician of 40 years stood in front of Slash and Matt Bellamy of Muse, chosen over 30 thousand votes. And it is not by chance that he check his space in this column, if modestly, only houses the biggest names in music. 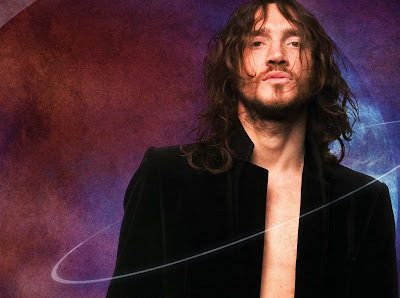 Frusciante also had their work recognized by the American magazine Rolling Stone, which gave him 18th place on the list of "100 Best Guitarists Ever". John gained notoriety when he joined the Red Hot Chili Peppers, at 17 years old in 1988. Known as one of the biggest bands in the world, winning six Grammys, the Red Hot leveraged a successful career in the album "Blood Sugar Magik Fri", when John was already part of the group. After recording this album, personal problems, Frusciante left the band, only returning in 1998 to record Californication, coincidentally, another album that secured thousands of sales to the Chili Peppers.Altogether, Frusciante recorded 5 albums alongside Anthony Kiedis, Flea and Chad Smith, who was fired in December 2009. Listen John Frusciante is like to see proof of a good student, always studying before the presentations. Being voted the best guitarist in the world is the result of a work that is done with humility, care and respect for the fans. " 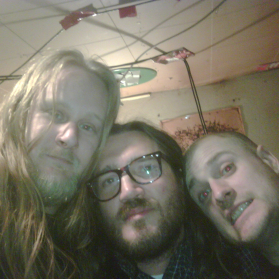 In 2010, John appears in the EP's electronic music project Speed ​​Dealer Moms, who participates along with John Aaron Venetian Snares and Chris McDonald. According Snares, the album was made jams with synths, drum machines and modulators. The sound within the variations of electronic music, is a mixture of Chiptune Glitch with. "I often feel that the music can be more liberating is music that has a lot of limitations on it.All kinds of music - from sonatas to acid house to drum and bass - have really strict parameters, and for some reason it encourages more originality than stifles. So for me, working in a pop group like the Chili Peppers, working primarily with the format of pop music, I did everything I could to infiltrate what with musical ideas that were exciting to me, you know? But I lost interest in it this time. A couple of years now that I have no interest in writing these kinds of songs. I feel I've done some interesting things within those parameters, but I'm more interested in exploring different things. " Musically I have a friend who gave me a great lesson in music. His name is John Frusciante of the Red Hot Chili Peppers. He told me that he no longer makes music for profit or for people. Love or hate - he does not care about the critics. He has financial security enough to not have to sell music never again. I do not have the same security, because I have many members in the family. I'll never be rich enough. On July 31, 2011, see the surprising news that John had married Nicole Turley. She who is multi-instrumentalist and vocalist of the band Swahili Blonde, Nicole and John dated for a short time and are now married and very involved in new projects. Swahili Blonde, is a distorted idea of ​​drummer-vocalist Nicole Turley, sounds like a cool group of guys-who joined in a fire pit and then were doused with acid rain. It's a goop-inspired funk, post-punk and new wave that could only be baptized together ridiculous and raunchy title, "Man Meat". As his friend Angeleno Ariel Pink, Turley seems to see a anbiente radio as a surrealist park, something like Salvador Dali studio. What sets this album later this instrumentalists are invited by Turley as former Chili Pepper John Frusciante on guitar, Laena Myers-Ionita on violin, bassist John Taylor (Duran Duran), the multi-instrumentalists Stella Mozgawa (Rough Trade and Warpaint) and Michael Quinn (Corridor). 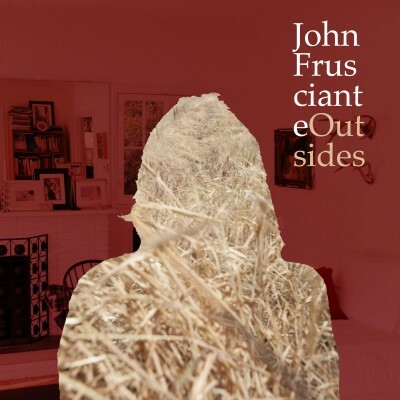 Circulated on the web that this was a band Frusciante - and while it is true that he play guitar at the Lion "Man Meat", it does most of Swahili Blonde, the word is that he resigned last month, something he did it twice with the Red Hot Chili Peppers too. I think these are the kinds of mash-ups inexplicable happening in Los Angeles: At a time when John Frusciante is sending bursts sexual guitar in his band quasi-experimental and then he went away with the sunset pink . In 2011, Nicole creates the independent label "Neurotic Yell Records", since then she sees producing a large number of albums in a short period of time. In short catalog of the artists of the label is the psychedelic scene of Los Angeles. 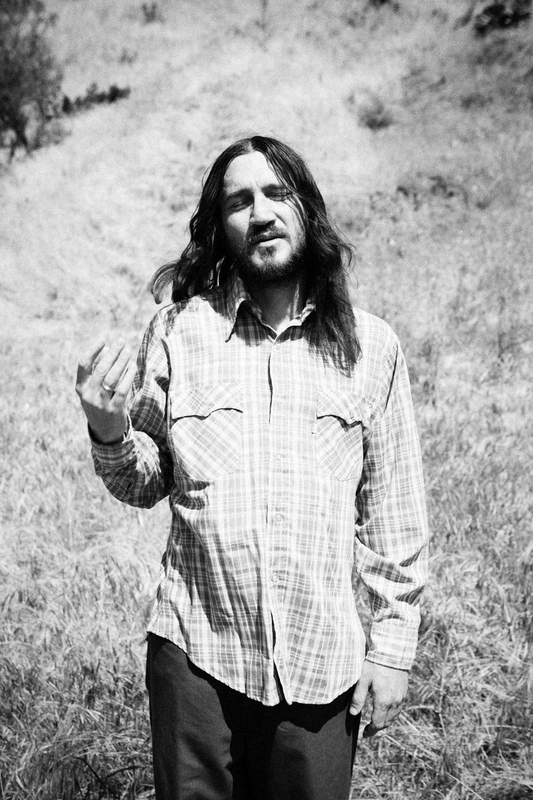 John Frusciante made guest appearances of tracks produced by her and several of its equipment being used in the process of recording and mixing. On 14 April 2012 the Red Hot Chili Peppers are inducted Rock and Roll Hall of Fame.John did not attend the ceremony was remembered by the band members. The band's former drummer, Jack Irons and Cliff Martinez, will be at the event, which also celebrates the entry of Guns N 'Roses, Beastie Boys, among other artists. "He had not been comfortable coming, which we totally respect," says Smith. "We asked him to come ... But he said: "I really do not feel comfortable with it, but good luck and thanks for inviting me." It was all quiet. He is also, I think he is the kind of person that once finished with something or just follow the next phase of your life.The Chili Peppers are not really on your mind right now. ". During his years in court, the judge of the Broward Circuit, John Frusciante, earned the respect of his colleagues for his temper fair. His son of the same name chose a career with a little less stiffness, but no less successful. John Frusciante Jr. the famous guitarist of the Red Hot Chili Peppers, a group that began performing with nothing but socks in strategic places. On Saturday, the Peppers have been inducted into the prestigious Rock n 'Roll Hall of Fame. "I am a proud father absolutely," said Frusciante father, who made a call congratulating the son of Mallorca in Spain, where he is on vacation. "I'm very happy for all band members be recognized." 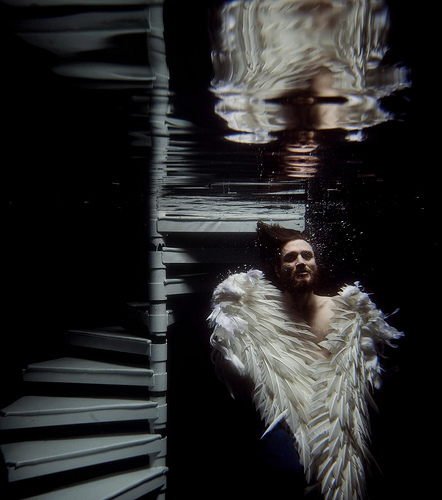 Frusciante, 67, was a concert pianist Julliard music school and introduced his son a love of music. "He grew up in a musical environment," the retired judge said. "It is certainly different from that musical matters were touched"
On July 9 the news out of John would release two solo projects. Through his official website he gave details of two new projects in 2012! The first is the EP (Letur-Lefr) which will feature five tracks and will be released on July 17th and not the 9th as previously announced. On September 25, he will release an LP titled PBX Funicular Intaglio Zone. 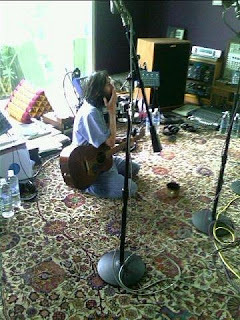 The recordings are Lefr Letur-2010 and PBX 2011. He further assured that before launching the disc will provide the music Walls and Doors for free download, which for him was "the song that pointed the way PBX", but it has been recorded seven months before the rest of the disc, just getting out. 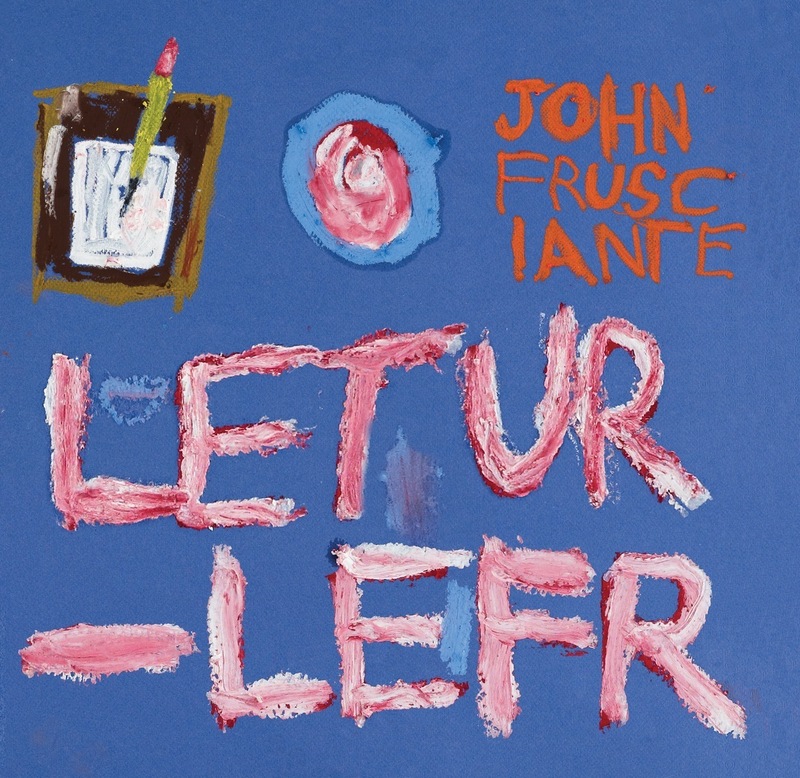 There are two new recordings of John Frusciante leaving. The first is an EP entitled Letur-Lefr, and the second is titled LP PBX Funicular Intaglio Zone. I sing, play instruments and am the engineer. The EP features some friends on vocals, especially MC's. The LP has a feature, and the rest of the vocals are mine. I consider my music to be Progressive Synth Pop, which says nothing it seems, does not describe my basic approach. I combine aspects of many musical styles to create my own musical forms by means of electronic instruments. The tracks are Lefr Letur-2010 and PBX were made in 2011.Letur is a compilation, a selected portion of the songs that I did this year, while PBX was conceived as an album, the songs were being recorded in sequence. The recordings are very different from each other, so before the release of the LP, I'll provide a free download of a song called Walls and Doors. This song has directed the path to PBX, but was recorded seven months before. Letur-Lefr will be released in Japan on July 04, in North America on July 17, and the rest of the world on July 16. You can pre-order the EP, which will be available on vinyl, CD, cassette and 32-bit format, FLAC and MP3 digital here. PBX Funicular Intaglio Zone will be released in Japan on September 12, in North America on September 25 and the rest of the world on September 24. How Letur-Lefr, PBX Funicular Intaglio Zone will be available on vinyl, CD, cassette and 32-bit formats, FLAC and MP3 digital. We will provide a link to pre-order for PBX sometime in early August. Letur-Lefr to me means the transition of two becoming one, notably symbolized by the first song on the album (In Your Eyes / In Your Eyes) is the sequel to the last album (In My Light / In My Light). 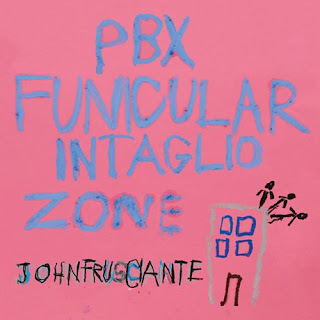 Later on the 25th of November and officially launched PBX Funicular Intaglio Zone sixteenth solo album by John Frusciante. The LP was released shortly after the EP-Letur Lefr and has a different proposal, as John himself said PBX was actually designed as an album, different from the EP that was just a selection of songs ever made. It combines aspects of many styles of music which creates its own musical forms by means of electronic instruments. I started thinking seriously about following my dream of making electronic music and being my own engineer five years ago. In the 10 years prior to this, I've been playing guitar along with a wide range of different types of programmed synths and sampled music, emulating the best I could, what I heard. Considered these programs as machines for languages ​​think and discover a new musical vocabulary. The various forms of electronically generated music, particularly in the last 22 years, has introduced several new principles of rhythm, melody and harmony. I would like to learn what someone programmed, but his thought processes eluded me. 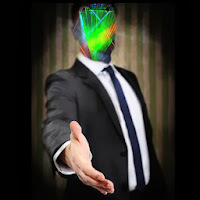 Developers, particularly those fluent in machines of the 80s and / or programs bands of the 90s, clearly have a theoretical foundation in his service, but it is not the theory that I met the pop / rock, jazz or classical. The relationship of the hands with the instrument is largely responsible for why musicians do what they do, and I came to feel it in the pop / rock with my mind almost being led by my hand, I had a great desire to fix. I was obsessed with music where machine intelligence and human intelligence seemed dancing with each other, each expanding with what she received from another. In 2007, I started to learn how to program all the instruments that we associate with Acid House and other styles of music. For about seven months I did not record anything. So I started writing, playing 10 or more machines synchronized with a small mixer inside a CD burner. That was totally experimental Acid House, my skills do not fit rock it anywhere. I lost interest in traditional songwriting and I was excited with new methods of creating music. I rode the machines, programmed one after another and enjoyed what was a fascinating process from beginning to end. I was so excited with the method of using numbers as both times I used my muscles in my whole life. Skills that were previously applied by my subconscious were gradually becoming aware, by virtue of owning a cash-theoretical significance of thinking about rhythm, melody and sound. So began a relationship with two musical friends with whom I could do basically the same thing he did in my living room, now just with other people. This remains a band, which is perfectly consistent with my nature. Shortly before we started playing together started using a computer. Initially it was just to record what I was doing with hardware, but actually became one of my main instruments. Gradually I began to build a studio with one set ideally thought to the way I work and think (that still works). The music they made at that stage was another adventurous type of acid house instrumental that I put on a CD, and during the time I recorded my second song on the computer, I was aware that "Progressive Synth Pop" was the description safer than I was doing. Acid was, however, the central musical style involved. After a year or more on the computer occasionally started using my voice again.Before that incorporate guitar and vocals seemed a problem because I wanted to make music based on the rules, as I understand - inherent in the various styles of electronic music that I loved - and did not want to mix it with what I previously did with composition and guitar, whereas rules of pop / rock would naturally be involved. If I mingle the two things at the time, my electronic stuff would serve to support my music, voice and guitar. This idea was repugnant to me. As I was much more developed as a rock musician, rock features and rules would be dominated, and thus decrease the rate of discovering new things. To be clear, when I say rules, I mean the absolute principles and abstract phenomena that define a particular style, marking its boundaries, areas where there are proven worthy of human creative research. I continued writing songs, but only when I needed to, because something needed to be expressed in that way. I do not see the composition as a craft to be continually polished, as seen for several years. In recent years, it is just something that happens from time to time, a natural thing, like breathing. Firstly, pre-record songs written seemed a restriction, but I have acquired new ways of working on your own and sufficient skills and programming speed enough that when I recorded a song pre-written, thought as much fun as when I record instrumental. This is the point where the tracks were recorded Letur-Lefr. I was still half directed to characteristics of rock, but R & B and Hip Hop were fitting well with the various types of music I was matching. R & B seemed to me a shortcut to integrate my makeup with my schedule, and I could make a way in which music served as support for the things I was doing instrumentally - and not the other way around - which was very important to Me. Past that stage, I began to develop a concept of a new approach to playing the guitar, which required a regular practice. In the two previous years, practice was to play along with it or recordings or Rave Synth Pop, or whatever. I did not see a reason to work wit my muscle because it was not precise in what I was doing. I originally was practicing a disciplined way because I wanted to play on the second album from my wife. But I found a new approach to the instrument, which was brand new to me, and I saw it had a lot to grow. With my main melodic electronic instrument being the MC-202 spent a long period where my knowledge of guitar helped me with my schedule it. But I reached a point where the 202 helped me as a player, and now my knowledge of guitar is helped by my knowledge of 202. I was using muscles that I was developing in an entirely separate from what I was used as a rock musician, partly because I changed type of guitar (a Yamaha SG), but mainly because my musical ideas came together with my understanding about a instrument to think that the choice of notes is not limited by the position of the hands. So this time guitar was completely integrated into my music. The combination of having a new approach to the instrument, combined with all these ways I was well acquainted process sounds, resulted in the same excitement about guitar I had with synthesizers, sequencers and drum machines. This, and other factors, resulted in my ability to apply principles specific musical rock / pop in my music, as well as vines applying specific aspects of each other type of music I love. I am more concerned with avoiding cliches because I no longer think that way. Develop new habits that bring me all kinds of new places, and old habits are strange to me now.Along with the computer has become a new tool for me, Drum n 'Bass (along with several other styles that have dealt) has been fully integrated to my music. At this time, I also began to understand the characteristics of engineering styles of the past, giving me freedom to combine aspects of both ancient and modern production styles as also combine different styles of music. In some months during this period, started recording PBX Funicular Intaglio Zone.For years I gathered all in one song at a time, but my experience with production now let me work comfortably with a concept recording while still completely absorbed in the process. At that time I found the balance I was looking for, where the presence of a vocal and structure of a song written actually gave me additional freedoms as a musician. Aspects of the PBX are the realization of the combination of music styles I saw in my mind several years ago, as a potential, but I had no idea how to run them. I am very happy to have the opportunity to focus solely on music alone, and also very thankful to spend all those years active in the music business while keeping my head in music all the time. I was free to spend the most time playing and recording, writing and dreaming. I'm very grateful to everyone who made this possible. In summary, Acid served me as a good starting point, and gradually guiding me to be able to match any style of music I wanted, as a one-man band. In August 2013, the CD Japan site posted information about a new release that John would do on 14 August. The EP contains 3 tracks + one bonus and will be called; Outsides. Outsides consists of a guitar solo of 10 minutes and two abstract musical pieces "out". Here I use the word "out" in the same sense in which the term was used in the free jazz. It is a modern approach to the concepts of harmony found in the free jazz of the years 50/60 and some classic songs of the twentieth century. Do not use any aspect of harmony rock or pop, and this is basically the approach, just make music that is not confidant to any center in the PBX that was given by my writing style. I consider this as work with abstract lines. To move forward, make music sonically full without resorting to any relationship familiar musical harmony to serve as a base has been a goal of mine for a long time. Both songs have my style of drum and guitar solos, but still think of it as my version of modern classical music. They begin as orchestra, but I go where the music take me and use any instrument to express my feelings, and use aspects of any style. For example, in "Shelf", despite the unconventional tone of the session, I was surprised to find that a blues solo would be nice. Including both songs have sessions Acid. The first song, against, is a new approach to the shape of the extended ground. The effect comes from an improvisation between drums and guitar, but these specific interactions between these instruments might not have time with a traditional drummer and guitarist. It's basically my dream drummer, because he listens and responds to what I'm playing, and yet also gives me a solid anchor for I also respond without the usual delays involved in these actions contrary. It also gives me great spaces of silence, and then back in exactly one of my accents, as if he knew that I would play a note on that very spot. This interaction is impossible to double with the fact that the guitar solo was made for a repetitive two-bar version of drumbeat, then later I retail the beats and they interact and respond to the ground in the whole 10 minutes. Use only a pause in the whole song, trying to make the most of it I can. It's amazing how many new moves can be found in a break of a compass. This method allowed me to work with a unification polyrhythmic guitar, while the drums wit remains as good as a drummer funk that somehow, mentally, monitors and complete each polirritmo perfectly. Funk drummers usually lead their bands, while drummers busy supporting soloists polyrhythmic need to hear and be guided by the soloists, and also about that song, the drummer does these two things at the same time. Also, the other instruments are changing the session and extended solos usually do not have sessions, so to speak. I maintain an awareness of cycles of 16 bars, as soloists and rock bands usually abandon their multiples of 8 bars, and lose sight of the great landscape, hence the long boring solos. In other words, a guy usually soloing over a base of maybe two bars, and of course everyone still listening larger spaces, but these spaces gradually become different for each person listening to the music. This not only disconnects the band's audience, but also disconnects the band members together. This is the opposite effect in that rock usually strives to achieve.Thus, the soil moves forward, as does a song, and the guitar tone needs to change with the music the same way that a vocalist needs. In extended solos, guitar soloing over camouflage inconvenience this solid musical foundation, called vamps, or soloing over a chord progression where the chords vary in the same 7 notes. When presented to progress well, most of the guitar is equipped with a tune a basic plan or to the soil. You do not hear people improvising a solo over and ballistic like that about this kind of progression classical / Tony Banks. This ability comes in part from the fact that when I trained with a CD, I played a part and hummed the keyboard while I was thinking of at least one other party was humming bass and my eyes followed the houses that the bass would be if I was playing it. If I fail to "see" the bass parts on some notes, I go back and do it again until I was touching the keyboard and see the bass parts. I will do this with all instruments by my own brain to understand the relationship of rate and rhythm, and in doing so, I'll have a mental notion as good as I could ask the "why" of that piece of music to make me feel how I feel. Small guitar solos on modulated changes are particularly illuminated using this method prático.Se a musician playing chords while watching the ground and then touch the ground while watching the chords, it becomes clear the "why" of guitarists have chosen those particular notes as once did. This form of training is based on the same principle that the basic musical rhythm guitar of Jimi Hendrix showed us, it is that you may think the chords and the ground at the same time. We guitarists previously understand this principle as "I can play chords and solos at the same time," but today, over 40 years later, we can appreciate that it was this ability to think in chords and in soil that did touch that style, and a new type of solar can be a result of this engagement that same mental action, but only touching the ground.Allan Holdsworth has always been great at it, but we're not talking about jazz here.Rock guitarists usually do not matter much to think about nothing but their style of play a long solo, and I could not play like that if you were not able to divide my attention between my ever-changing environment and my own musical instrument.Freak out while you're mentally considering two opposing perceptions in his hand, is a skill that rock musicians as a whole have yet to develop. This style I'm playing is basically the style I play the PBX, but now I've been playing this way a total abandonment of prudence. This is more of a mental than physical development. The difficulty of playing in this style is to think in two separate melodies in two different series at the same time, and run them in alternating steps to occur a ticket for a single melody. This principle humbly began with major works by Robert Fripp in the 70s, and it was very developed with people setting [synth] 303 and 202 in the 80, 90 and 2000. During the last minutes of solo guitar is handled by my modular synthesizer and sequencer for your 64 steps, getting many triggers a modified 606 drum machine, and again, it is a real pleasure to add an improvisational musical actions that are consistent with the thinking the soloist. In this case, I'm freaking out at the sound of my guitar with the same abandon with which touched the instrument. Rock is electronic music, totally dependent on electronics and amplification. This music gives new life to old and discredited popularly style rock guitar solos extended, and it is also progressive synth pop, the same thing. This EP is 20 minutes long. I grew up dedicating myself to the guitar, so I studied all guitarists fast when I was a kid. And I think I grew up with a misconception (which is perfectly normal for a person who plays any instrument, especially a guitar) that the physical act of playing had a significance on the instrument much larger than it should have. It is a complex thing, make music, and I feel that when guitarists fast become really good at it, often lose sight of the fact that the notes simpler and slower, just by falling in a strange place, can create various types spaces with the other instruments. People have their tricks they do (they have their little riffs and techniques) and end up forgetting to format the music into something that portrays a drawing with energy, a design within the sound which arouses those feelings within you. With guitarists quick thing revolves more around a demonstration of something. So, you know, I lost interest in it when I was a teenager, and I became fascinated by people like the B-52s guitarist (Ricky Wilson). I started thinking more sense in people who played more simply because these people seemed to have a better understanding of the complexity of it, you know? Many people who are very good technically do not give the same kind of attention to each note. People cling standards being at high speed, when they should really have a clean musical thought - is the kind of thinking that makes a musical melody work - our brains simply can not think that fast. There comes a point that you become automatic.When it comes down to it, when I hear someone playing very fast, in my mind it does not sound a bit complicated. What do people like Matthew Ashman of Bow Wow Wow and Bernard Summer Joy Division sounds complex because each note takes you in a different direction. I like all kinds of guitarists, but are people like the ones I just mentioned that really amaze me, and this because of their ideas, because of what they think. It's because they approached the instrument differently than anyone else. It is people like Keith Levene from PIL and Daniel Ash of Bauhaus that explore the possibilities of what you can do with the guitar, whereas others are just exploring what you can do physically with the guitar, and it no longer has any interest for me. I had interest in it when I was 15 (laughs), but not anymore. I do not care since I was 21. 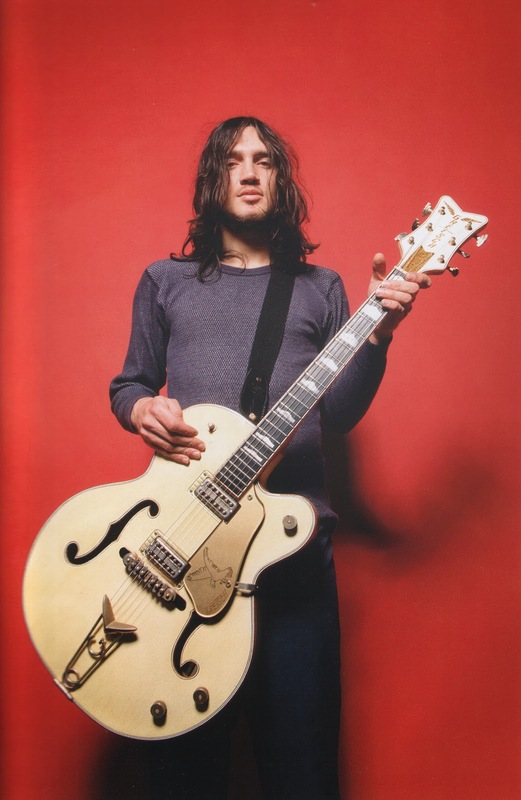 Although he does not consider himself a collector for years Frusciante has acquired an impressive arsenal of instruments, preferring the pre-CBS Stratos as their choice of guitar both on stage and in studio. You say no theory extensively studied, but compared to most rock musicians you bring things to the surface easily. While it is obvious how much his music comes from within, this theoretical knowledge ever led you to a more formal approach? JF: "No, I get to make music she has to generate an excitement in me, and formalism itself does not generate any excitement in me. For example, I do not feel that way to make the most of free songs either through musical formats that do not have limits, as if you do not set a "time" and does not establish a key. often I feel that the music can be more liberating is music that has a lot of limitations on it. Every kind of music - sonatas of the acid house to drum and bass - have really strict parameters, and for some reason it encourages more originality than stifles. So for me, working in a pop group like the Chili Peppers, working primarily with the format pop music, I did everything I could to infiltrate what with musical ideas that were exciting to me, you know? John was not a technical genius, nor ever will be. But he always had an infinite capacity to create distinct sounds, to recycle over the years, do not become obsolete as much of guitarists who think only the guitar as a way to be display and make stops at a time dwindling. For John, a guitarist needs not only technical and speed to be the best, he needs sensitivity and subtlety to make the guitar part of your body, part of your soul ... Dai is born creativity to express the feelings of joy, anger and whatever this feeling through the guitar. On August 19, 2013, John after 4 years without grant or an interview, after having officially left the Red Hot Chili Peppers, spoke exclusively to Billboard. Among some of the interview subjects, he describes about his future works involving electronic music, the real reason that led out of the Chili Peppers, and show that it has no intention of performing live or go on tour again. "I always wanted to make electronic music and I had approached some of that over the 10 years or whatever time I was in the band back then [in 1998]. And this is one of those things you have to do all day for years to get good. So it was always something I wanted to do but were so well received as a band that did not really occur to me until leaving Flea come to me in a moment and say: "I want to take a break from two years after this tour. "He told me that half of the tour [of Stadium Arcadium in 2007], and when told, I was kind of shocked because I thought we were in full swing, let's keep it rolling, you know ? But when he said this to me, my mind began to think: "What would I do with those two years if I had two years to do just what I wanted?." And about four months later, I was so excited about leaving the band I did not want it to be something more than two years. I just knew I did not want to be in the band anymore, you know I actually did not go out until several months later that we were actually on break, but I knew I wanted to leave before the tour is over. I was determined. because there were so many electronic musicians that I loved what they did, and I knew I had grabbed me musically to an understanding of learning from my guitar. But I also knew until I learn to program those old machines that Roland did in the 80s, I would not be able to actually create music involving the musical principles that were inherent to those people were doing. then in the middle of the tour, I got the drum machines TB-303 and TR-606 and carried them to the hotel room hotel room. was a whole new way of thinking, it was a whole new way of creating music and it was like going to music school, several forms, because it made me start to see music from a completely different angle. For a long time, I think for a year, was an effort, in many ways, but I was so comfortable, so the tour was over, I started set it up so I could program a lot of machines at once. At that point there was the complexity of the things I could do, like, with a guitar or with someone else. I did not care. 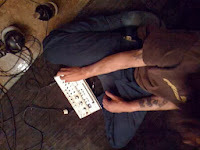 I was glad make simpler and lower band Acid and able to play with the knobs. I was very happy to be doing something that had no connection with the habits I had acquired as a rock guitarist. " 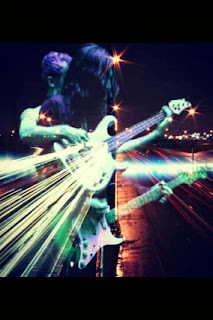 In this new phase, where he sees exploring the endless possibilities of electronic music, his creative process has changed ... Now besides having adopted the drum machines, synthesizers and a computer as its main instruments, he sees seeking a new approach to your guitar, whether in the form of touching or changing the type of guitar, now he uses a Yamaha SG. In recent releases of this new phase, described by him as being "Progressive Synth Pop". 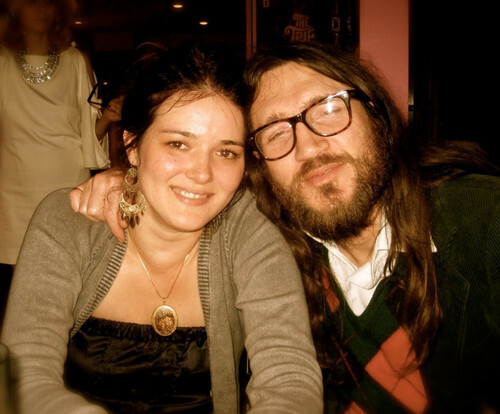 Came an intriguing discussion around a possible "secret project" to which he would Frusciante released in July 2012 at the label of his wife, the Neurotic Yell Records. Under the codename "Trickfinger". Actually it seems this was a first attempt by John to mix your style with experimentation of electronic music. That's why he has not released under his name.Shows that he wants to separate to any song you've ever done before, to try something completely new. This allows it to fully immerse yourself in something new, though this does it conflict with what he has already done originally. Maybe it's nothing, it's just an alter ego that John has adopted, as do many artists of electronic music that has infinite releases with different aliases. [...] In April, they see a sad news for John. His friend Wayne Forman, had died of a cancer. 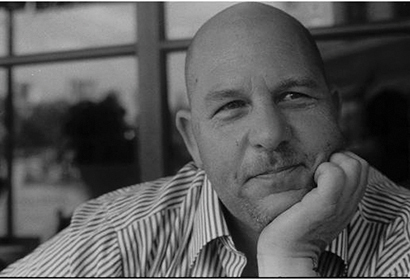 Wayne Forman, owned the waynos Catering, he died on April 07 after a battle with kidney cancer.He was 52 years old. The waynos Catering has supported touring for Red Hot Chili Peppers, Pearl Jam, Def Leppard, REM, Eric Clapton, among other artists. John and Wayne were very close and the death of friend moved much. 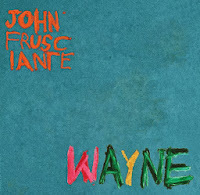 As a tribute, Frusciante recorded a solo song for 10 minutes, called "Wayne" and posted on its website, along with the statement that the intention was that Wayne heard the track in life, which ended up not happening. This song was written for my friend Wayne Forman, the friend coolest and kindest that anyone can have. When I used to play arenas, sometimes mentally directed my play for him. Wayne loved long guitar solos, and it was my favorite person in the audience to play for. As everyone who knew him is well informed, he also was the best chef of all. When I saw him two ago, he was lying in front of a CD player, so when I got home I decided to do something for him. I recorded this solo for him to hear, but finished a day late, so now it is a tribute to his memory. That's what I always wanted to play for him, and it's my offer for your family and your friends around the world, as well as anyone. Wayne lives in our hearts forever, the nicest guy anyone can meet. I am very lucky to have been graced with your friendship. All the love in the world to him. Frusciante said in recent interview with Billboard that his next job will be a collaboration with the group of Hip-Hop, Black Knights. 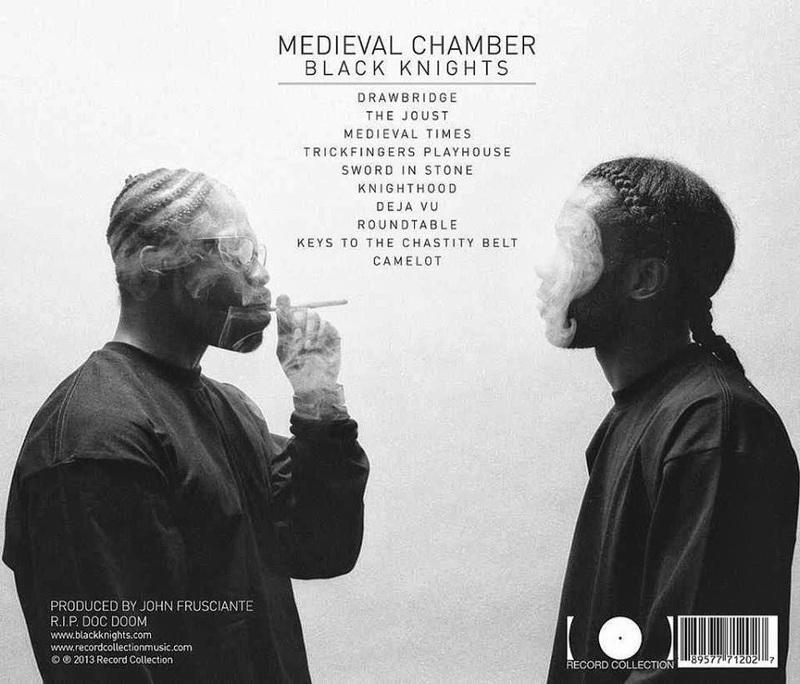 The new album, entitled "Medieval Chamber" is scheduled for release in December 2013. The Black Knights are a group affiliated with the Wu-Tang Clan, better known as Killa Beez and Wu Fam. They are often directly funded, supported or produced by clan members, formed as groups of clan members or linked to the clan. A list of members and strands is increasing, yet there remains a basis of sound and music content common to the vast majority of releases. John Frusciante produce the album, he will also do the vocals on some tracks, and backing vocals. The letters and raps, were in charge of Crisis Tha Sharpshooter and Rugged Monk. 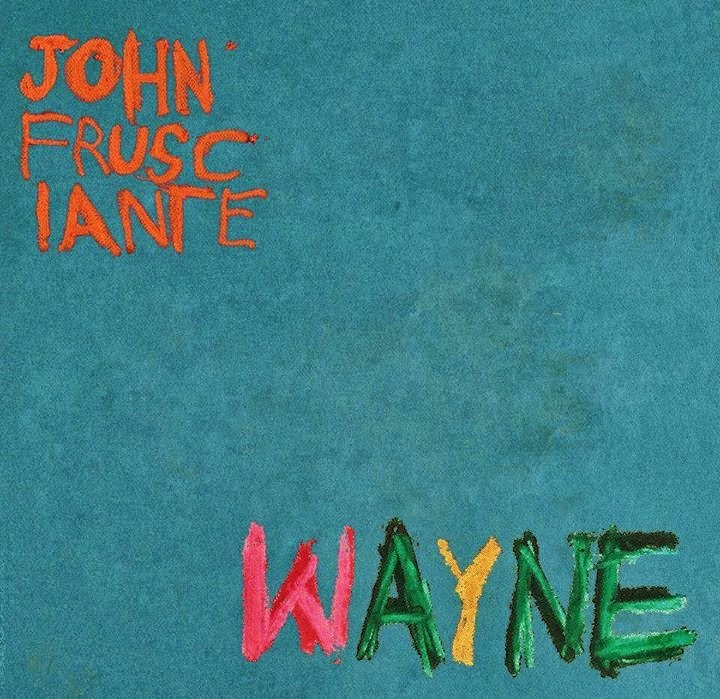 "Perhaps what most attracts the music of John Frusciante is this strange kind of beauty that emanates from there, a conjunction between the sadness and the unlikely rise, melancholy and aesthetic heights. An art that elevates the status of sublime sorrow prettiness. Behold us face to face with a man who looked into the abyss of guy, which is very little not plunged into nothingness, he faced death and self-destruction front, which passed through a thousand thousand delusions and sufferings, and still managed rise from the ashes. 's more, lifted up as someone not mutilated, but as someone strengthened, as someone who lives life always going straight to the essential, as someone who makes art with a deep sincerity so gigantic that reaches staggering. For displays with much rawness how our lives are false and somewhat authentic. a world so dominated by cynicism, irony and the grinning masks, John Frusciante has the courage to show sincere, naive, torn, human. Especially for Dragon Marcarini Felipe, Felipe Freitas and Toni Oswald. 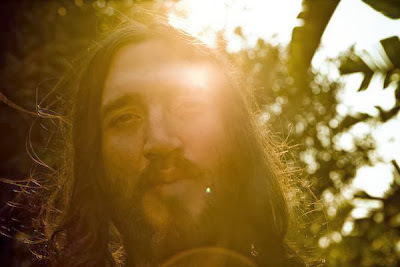 To all the members who contribute and we have supported from the beginning the community, John Frusciante Orkut. To reviewers recent and all visitors who access the Universe Frusciante. Thank you very very much for this!!!! Very cool site for a very talented musician.! Thank you very much for your effort doing this site!